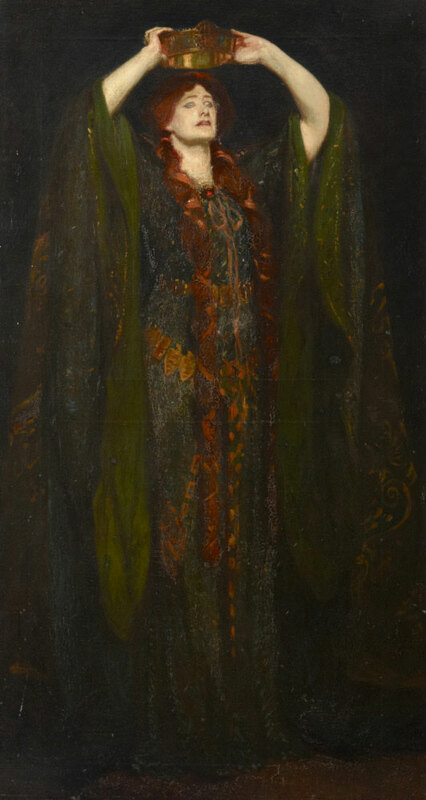 The actress, Dame Ellen Terry GBE (1847-1928), was one of the first stars of the modern British stage. She is particularly known for her performances at the Lyceum Theatre London, UK, opposite Sir Henry Irving. She was married to the artist G. F. Watts, Charles Kelly and James Carew and had a long relationship with Edward Godwin. Godwin was the father of her two children, Edward Gordon Craig the theatre designer and Edith Craig the lesbian theatre director, costumier and activist in the women's suffrage movement. This guide describes the papers of Ellen Terry and Edith Craig at the National Trust property, Smallhythe Place, Tenterden, Kent, UK. Smallhythe Place was the home of Ellen Terry, established as a memorial to Terry by her daughter Edith Craig and given to the National Trust in 1939. The papers are available for consultation by researchers by appointment, either at Smallhythe Place or the British Library. Each record in the database is marked SMA (Smallhythe Place) or BL (British Library) to indicate the location of the document which it describes. If you wish to look at the papers, please contact the British Library Manuscripts Dept, London, UK or the National Trust at Smallhythe Place, Tenterden, Kent, UK. Please note that none of these documents is held at the University of Hull, UK. This project was funded by the AHRC (2006-08 and 2015-17). Earlier stages were funded by the University of Hull and Society for Theatre Research (2001-2005). Find out more about some of the most popular productions of Shakespeare in the nineteenth- and twentieth-centuries.